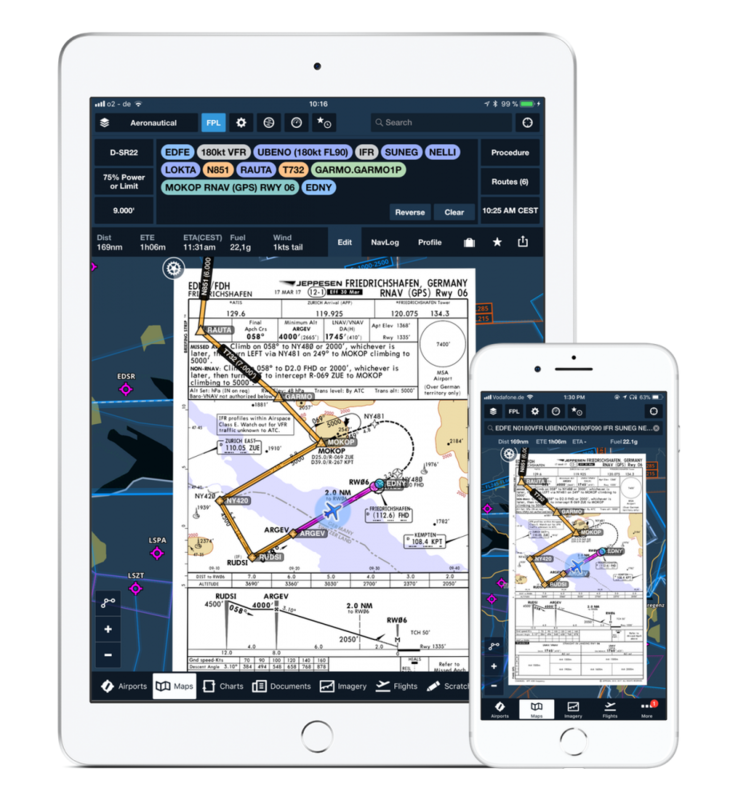 ForeFlight’s flagship Integrated Flight Application is available now in Europe, combining flightplanning and in-flight navigation tools with Jeppesen’s European VFR and IFR charts and data. 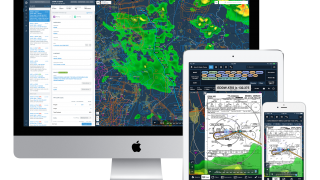 Foreflight says the app gives pilots a single solution for charts, documents, weather, route planning, briefing, filing, and flying. 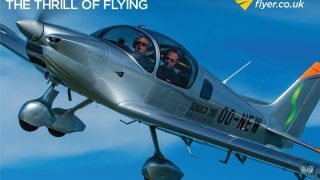 Foreflight Europe is reviewed in the August 2018 issue of FLYER. 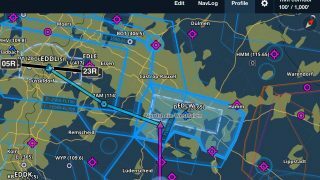 All subscription plans with the Europe region include Jeppesen’s digital VFR and IFR navigation data, rendered directly on ForeFlight’s data-driven (vector) aeronautical map, as well as AIP procedures, charts, and documents provided via Eurocontrol. 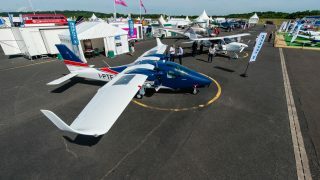 ForeFlight will be on display at AeroExpo UK at Wycombe Air Park this coming weekend, 14-16 June. 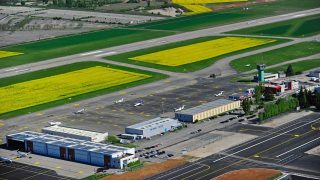 “ForeFlight is thrilled to offer pilots in Europe a uniquely powerful and affordable integrated flight application for VFR and IFR flying,” said ForeFlight co-founder and CEO, Tyson Weihs. 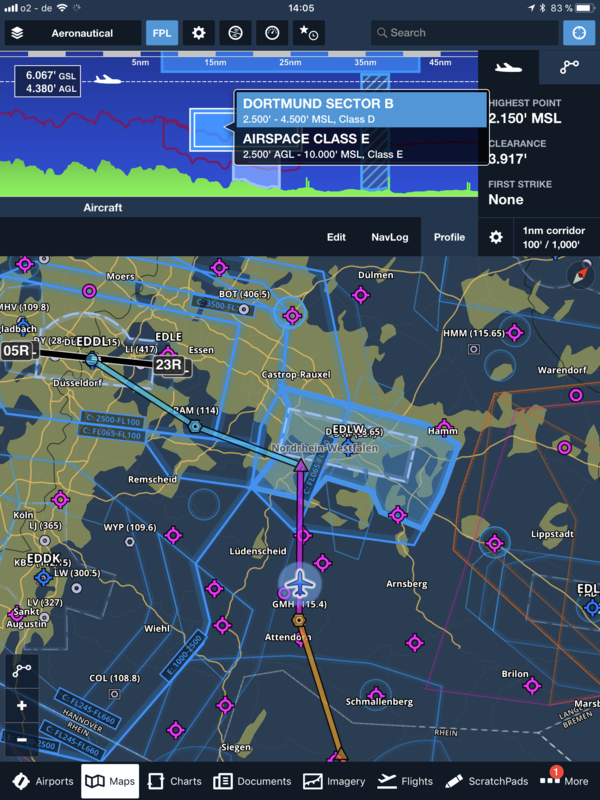 “We are combining an array of high-quality European data from Jeppesen and others, our Eurocontrol-integrated flight planning and filing capabilities, and a broad suite of navigation and safety features. 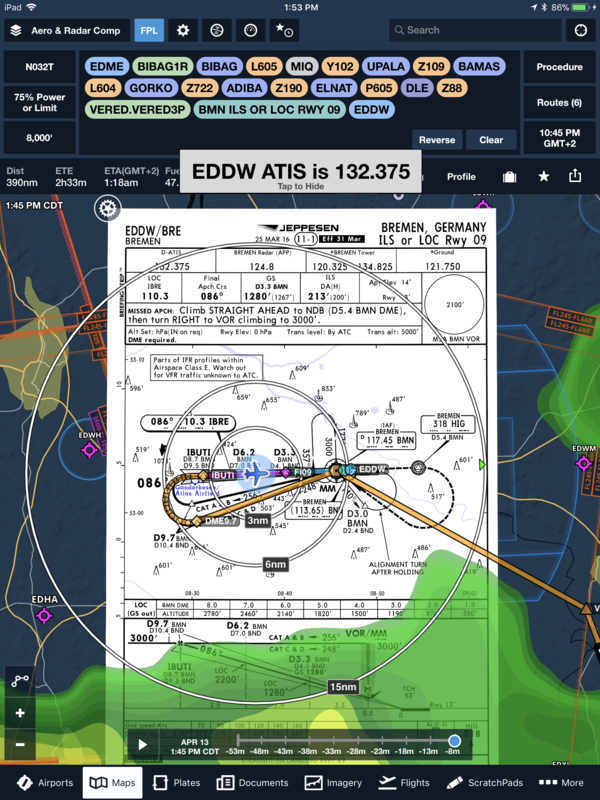 Foreflight’s moving map display, seen here using a German DFS VFR chart. 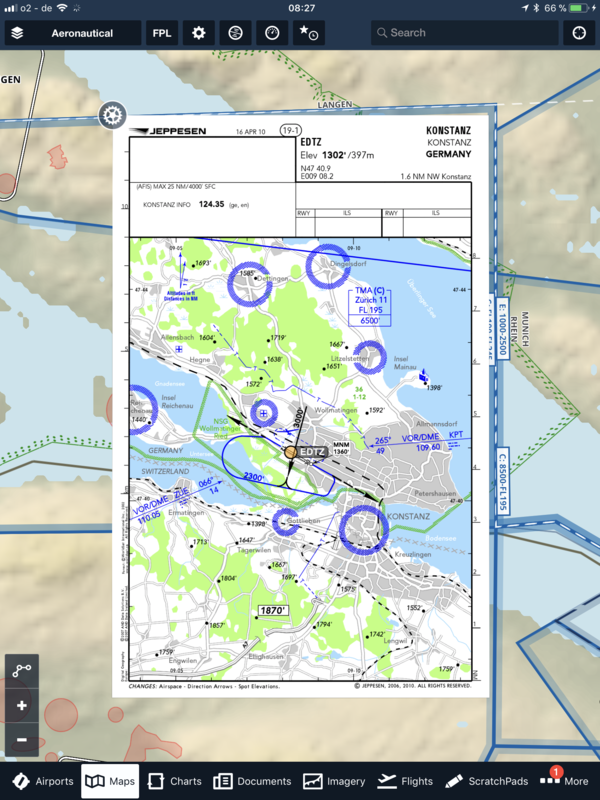 Airspace profile with planned route on the chart. 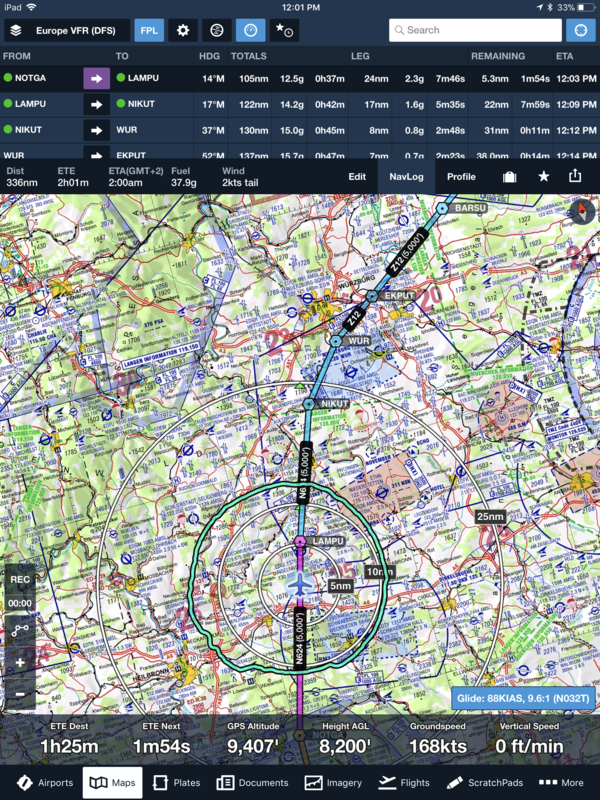 Foreflight on iPad and iPhone using Jeppesen charts. 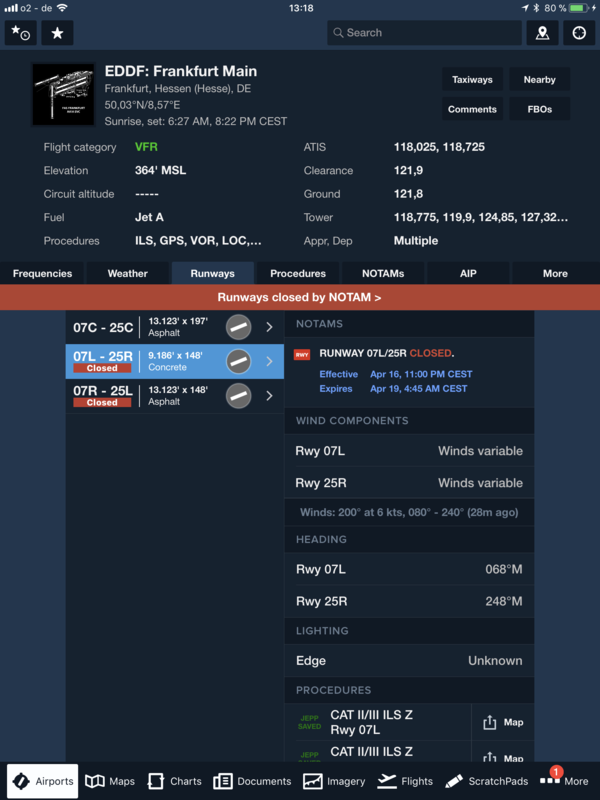 Jeppesen approach plate and weather. 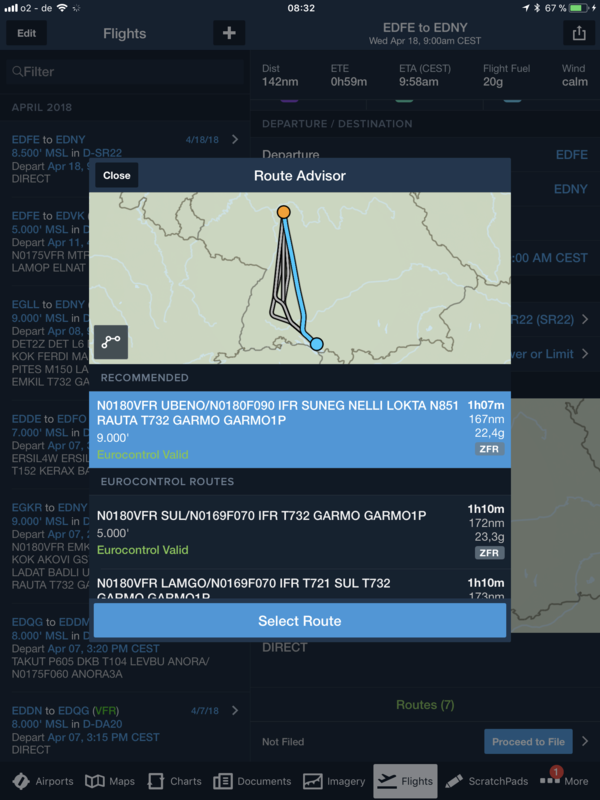 Moving map with glide advisor. 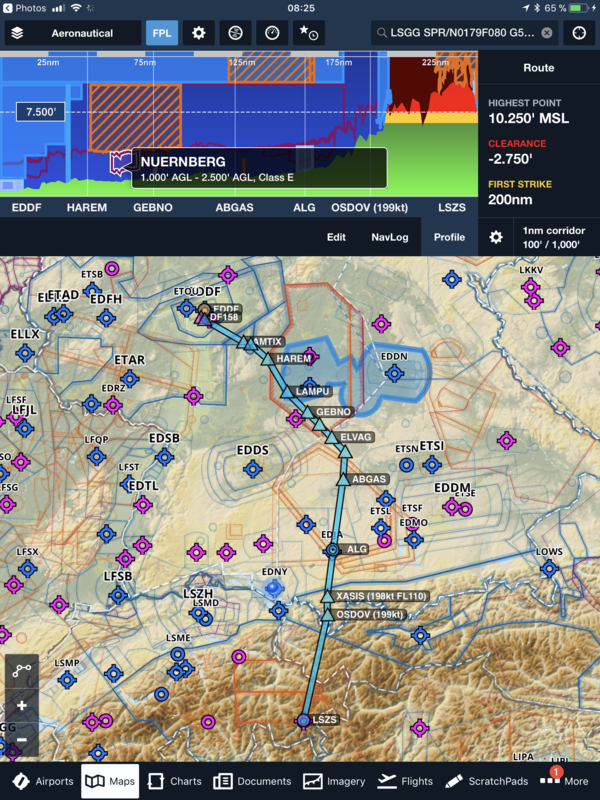 Moving map with airspace profile. 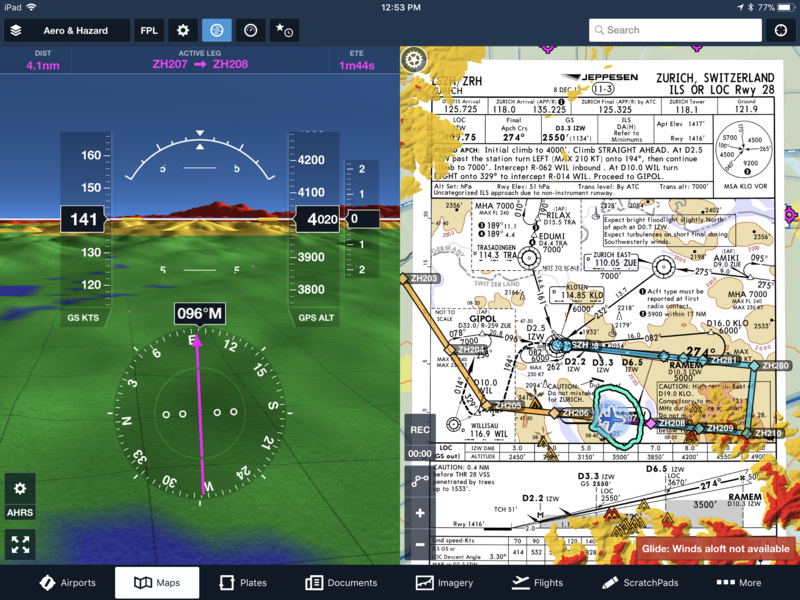 Split screen showing synthetic vision PFD and Jeppesen chart. 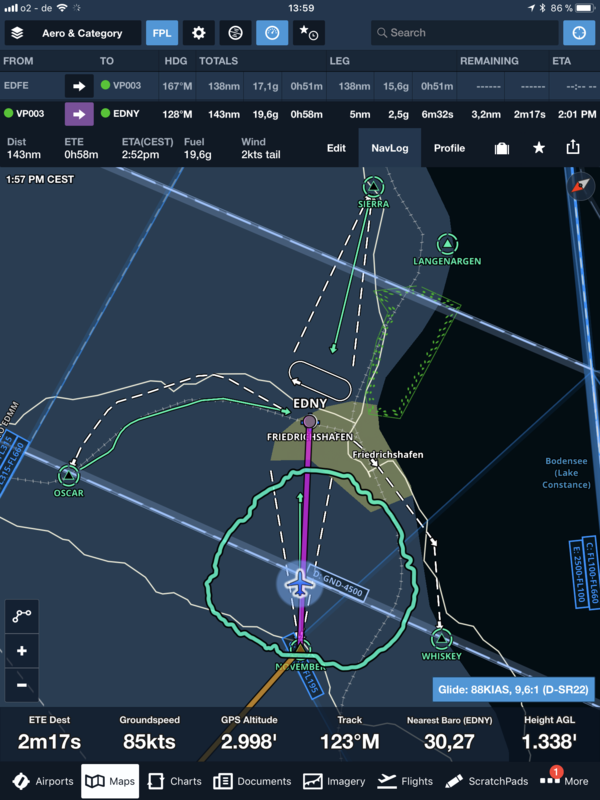 ForeFlight offers three plan levels for private pilots: Basic Plus (£79.99 +VAT per year), Pro Plus £159.99 +VAT), and Performance Plus (£239.99 +VAT). All plans include one region: Europe, US, or Canada. Additional regions can be added for £80 +VAT per year.